Ark: Aberration is Studio Wildcard’s latest paid expansion for their dinosaur-packed Ark: Survival Evolved. 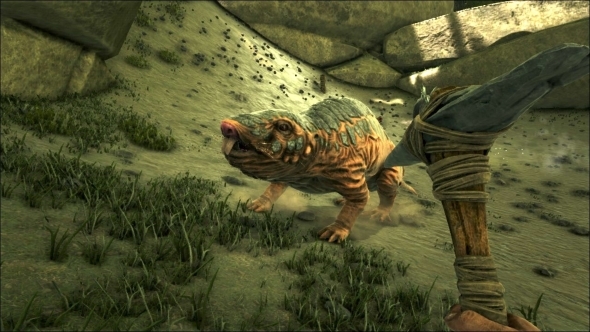 It places survivors on a damaged Ark, with dangerous new biomes to explore, creatures to tame, and resources to exploit. 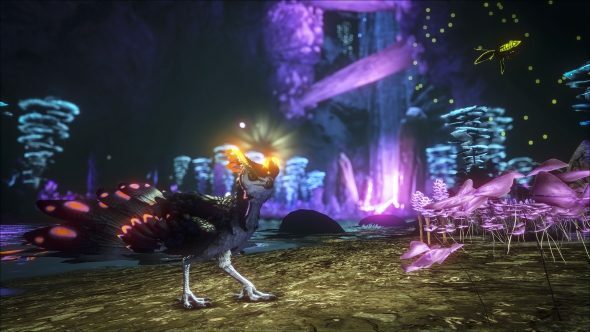 And, like with the main game, you may need some Ark: Aberration tips to make the most of this new area. What incredible luck, then, that you’ve stumbled upon that exact thing in this article. Quick! Gather up all the information into your inventory before a naked stranger arrives and slaps you to death. It can be a challenge to know where to begin or how to get set up in this expansion, so we have put together a list of Ark: Aberration tips to help you survive. Our advice should make the expansion a little bit easier, giving you some precious relief from the unrelenting hostile environment it places you in. From mushroom spotting to avoiding Ravagers – and they really are to be avoided – we’ve got you covered. All about gathering stones and dying of thirst? Try the best survival games on PC. One of the first mistakes you can make in Ark: Aberration is spending too much time around the starting portal. This is because it doesn’t have any water sources nearby, so you can quickly die of thirst if you are not careful. Collect a few items there and then safely descend from the cliff in the direction of the massive lake. It’s much more dangerous in this area but you’ll be able to take a drink whenever you need to. You’ll need to watch out for spores while out exploring. These appear around mushrooms and can freeze you or cause you to hallucinate. 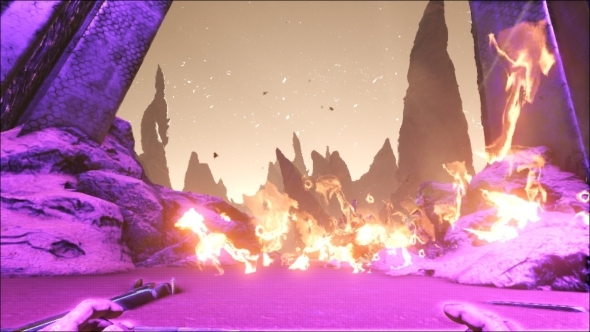 Early on in Ark: Aberration, you’ll die a lot from blindly running into these areas, so always look out for them and don’t spend too much time hanging around places with red or blue-and-black mushrooms. Not all mushrooms are harmful. 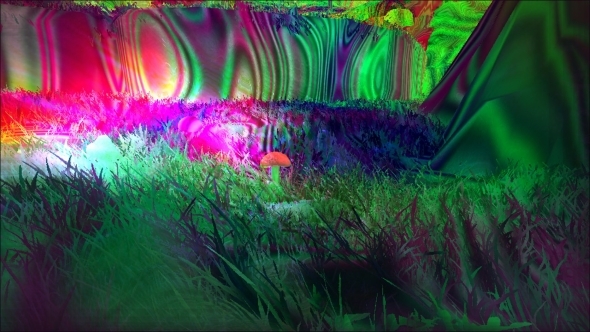 There are lots of different types, some of which are useful: Auric mushrooms remove radiation; Aggeravic mushrooms will heal you slowly and prevent death from green spores; and Aquatic mushrooms regenerate water and give resistance to freezing spores. You can also find Ascerbic mushrooms. These are like narcoberries and can be used to make narcotics. 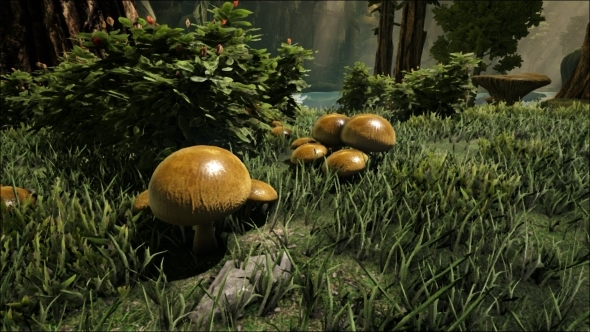 These types of mushrooms are all available to harvest from the chunky mushroom deposits found throughout the map. Make sure you remember their individual uses and, importantly, don’t mix them up! 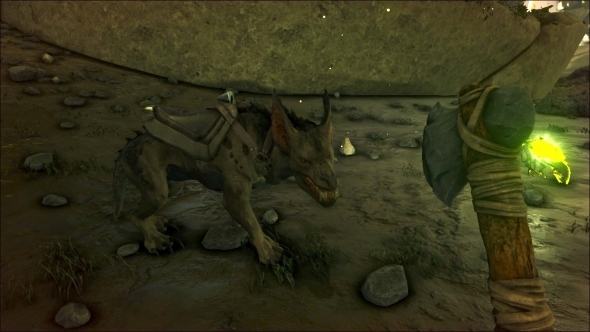 Ravagers are a new creature you can find in Ark: Aberration. They’re exceptionally quick and will often ambush you as you go about your business. What’s even worse is their attack has a bleeding effect, which continues to hurt you after you’ve managed to beat them. Be especially careful whenever you’re out in the open and watch out for their close-range attacks. If you need to confront one, take them out using projectiles, like arrows, bullets, or shotgun shells. This will reduce the chances of bleeding. 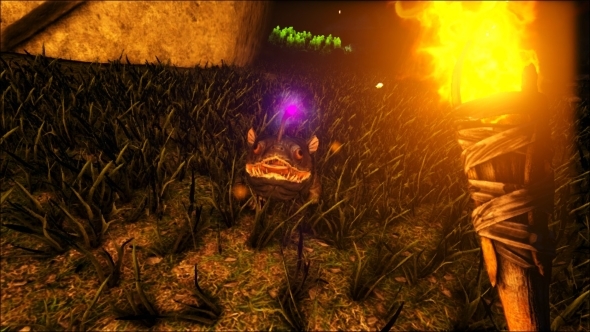 Bulbdogs are another new addition in Ark: Aberration. They’re pretty common across the map and make a great early tame. This is because they light up the environment around you with their charge light and prevent attacks from packs of Nameless. To tame them, you need to feed them aquatic mushrooms from the last slot on your hotbar and wait for them to get hungry again. Keep repeating the process to gradually increase the taming percentage. The Bulbdog’s charge light does have one potential downside. It attracts Seekers, which are winged creatures that need the light to survive. If you have your Bulbdog’s charge light on, Seekers will be stronger and more aggressive. Turn it off and they’ll be weaker and run away. Be careful where you use it. 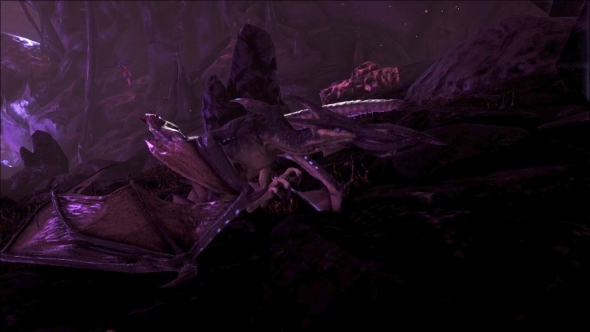 Ark: Aberration’s location is unstable and prone to earthquakes. The good news, though, is that these tremors will sometimes drop useful resources, like stone, metal, crystal, wood, and flint. Whenever you hear a rumble and the subsequent tinkling sound, look around and gather any resources you see dropping from the ceiling. It all adds up. You might spot a Roll Rat out in the wild digging into the ground and collecting gems. Those gems can be used to create some of the new equipment in Ark: Aberration, like the Glider suit. But collecting them will aggro the creature and will likely result in your death. Follow the beast and steal a stack from the ground when it strays away slightly. Then quickly run away and try to use nearby obstacles like trees and cliffs to slow it down when it starts to chase you. If you’re lucky, you should be able to escape. You can also build some temporary wooden spikes around the environment to give you even more objects for them to get stuck on. Just remember to take them down after you’re done in order to avoid blocking off access to areas or resource spawns. 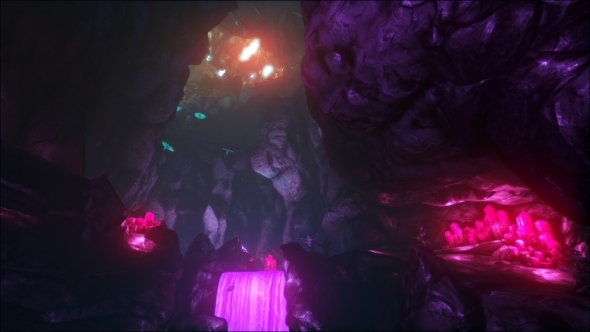 Rock climbing is an exciting new mechanic in Ark: Aberration. 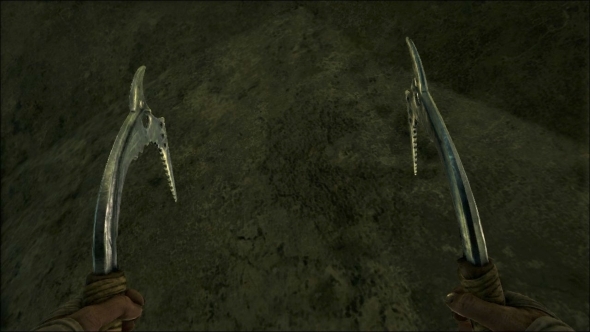 At level 34, you can unlock a set of climbing picks that allow you to grip onto walls and climb them. These break super quickly and can lead to a grisly death, so pack plenty of spare picks and keep them on your hotbar. This will allow you to swap them out quickly and save yourself from falling if one pair breaks. You can also use the pliers tool, unlockable at level 45, to repair climbing hooks, but this will be at a much higher resource cost than repairing them at a smithy. If you manage to reach the surface area on the Ark: Aberration map you’ll find a great natural source of oil. The only problem is the surrounding floor is on fire during the day, so you’ll need to plan your visits around the nighttime. This approach will let you get what you need from the surface and then go back down into the underground cave system where it’s more hospitable during the day.